Hartnell Chanot & Partners is delighted to announce that Julia Clayton, Director and children law specialist, has been appointed as a Family Recorder to the Western Circuit. Recorders are appointed by the Queen on the recommendation of the Lord Chancellor, after a fair and open competition administered by the Judicial Appointments Commission. Family Recorders sit in county courts and their jurisdiction is broadly similar to that of a Circuit Judge. Julia has been authorised to hear Private and Public Family Law Cases subject to attendance at an induction course and sitting in with an experienced family Judge for a number of days. 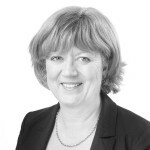 Julia specialises in all matters relating to children, in particular representing children, parents and grandparents in care proceedings, complex residence / contact disputes and international child abduction and adoption. As a Recorder she will be required to sit in court for up seven weeks per year.